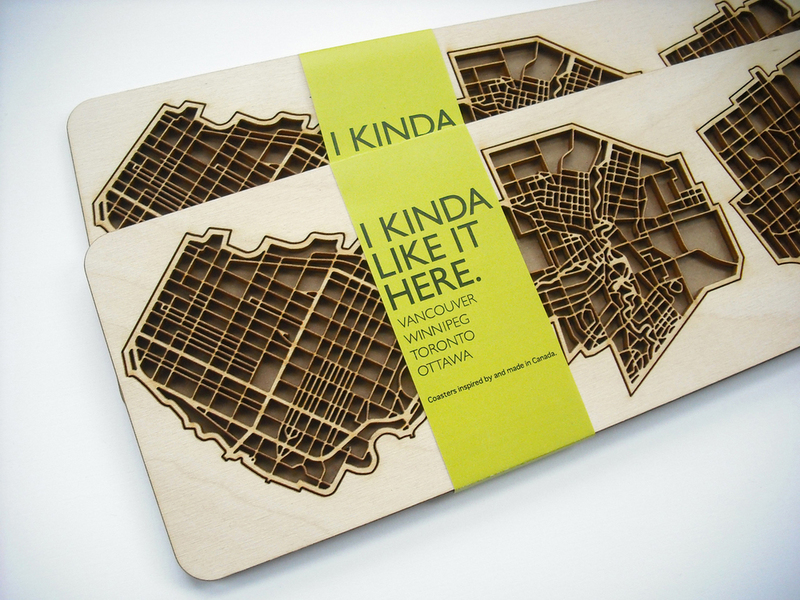 An ode to some of our four favourite design cities, the “I Kinda Like it Here” coasters are a modest celebration of our geographic identities. 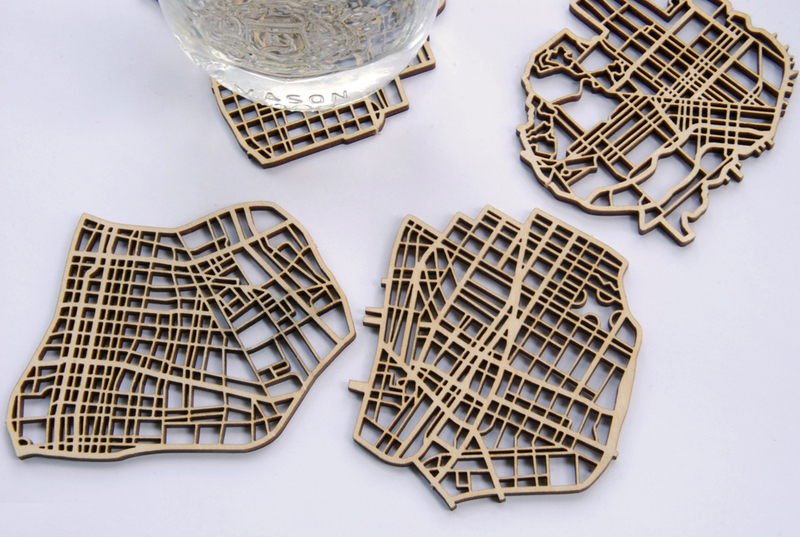 Laser cut from 3mm birch plywood, the coasters are shipped in sets of four in a removable wooden backing, and accompanied with a hand-screened print of the cities’ outline. All-Toronto sets come with 4 of the Toronto coasters. Canadian Cities feature (from west to east/left to right) Vancouver, Winnipeg, Toronto, Ottawa. 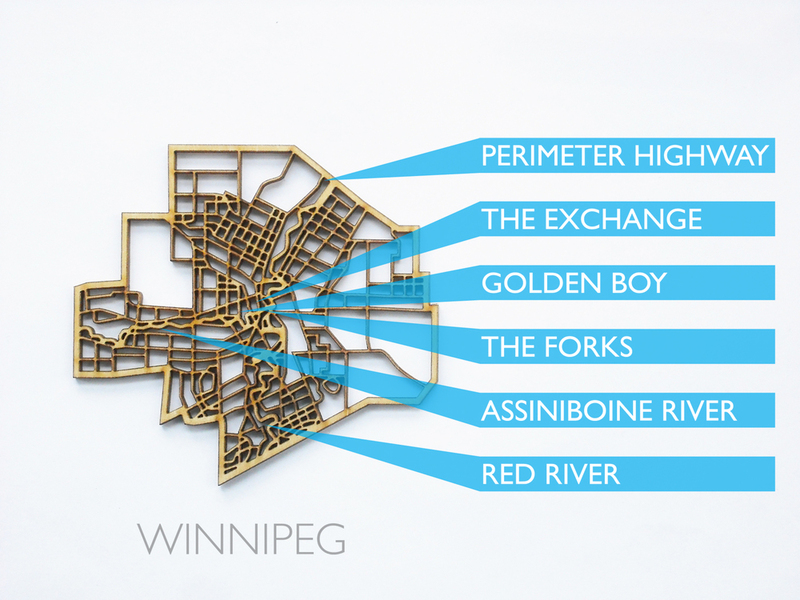 U.S. Cities sets feature our favourite design cities from our southern neighbour: San Francisco, Los Angeles, Chicago, and New York.